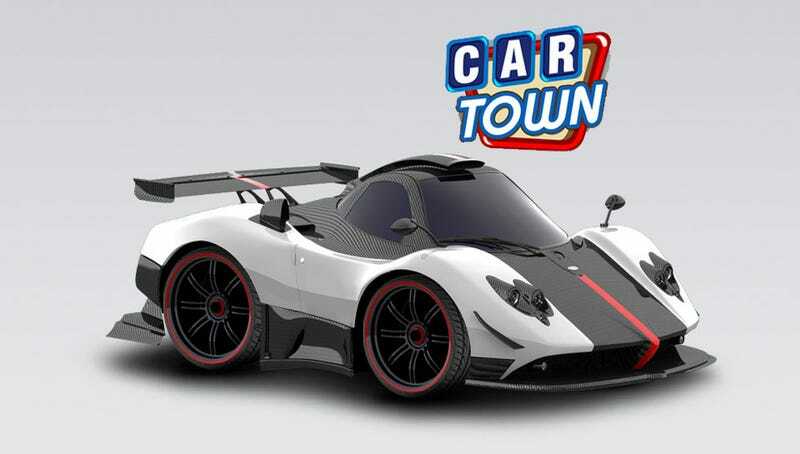 Facebook's game for the car-obsessed cubicle worker, Car Town, is adding a new digital car to help you take down that pesky McLaren F1: a Pagani Zonda. Time to get those interns to start cranking out more paint jobs. For those unfamiliar with the social game, Car Town offers any car lover with a little time and a lot of friends the opportunity to build the ultimate garage stuffed with DeLoreans, Supras, vintage American muscle and a growing number of other cars. Check out our Car Town how-to guide for tips and tricks. McLaren is currently king of Car Town, but we hear the Zonda could poison the F1's ear when it's revealed at the end of the month. "The car will be very fast," said Justin Choi, the game's publisher. "It will certainly be a good race between it and the McLaren F1." Like all high-end cars in Car Town you'll need a good deal of money and coins to put it in your driveway. Although the final amount hasn't been released yet, it's designed to look like the Pagani Zonda Cinque, which originally fetched $2 million.